The industrial parks of SPPI are home to Fortune 500 companies and major multinational companies including Procter & Gamble, Unilever, Pepsi, NEC, NXP and ST Microelectronics ( both formerly Philips Electronics), First Sumiden, H.B. Fuller, Nippon Paint, Continental Temic, to name a few. Top Filipino export and manufacturing corporations therein include Concepcion Industries, Ionics Inc., and Fastech. 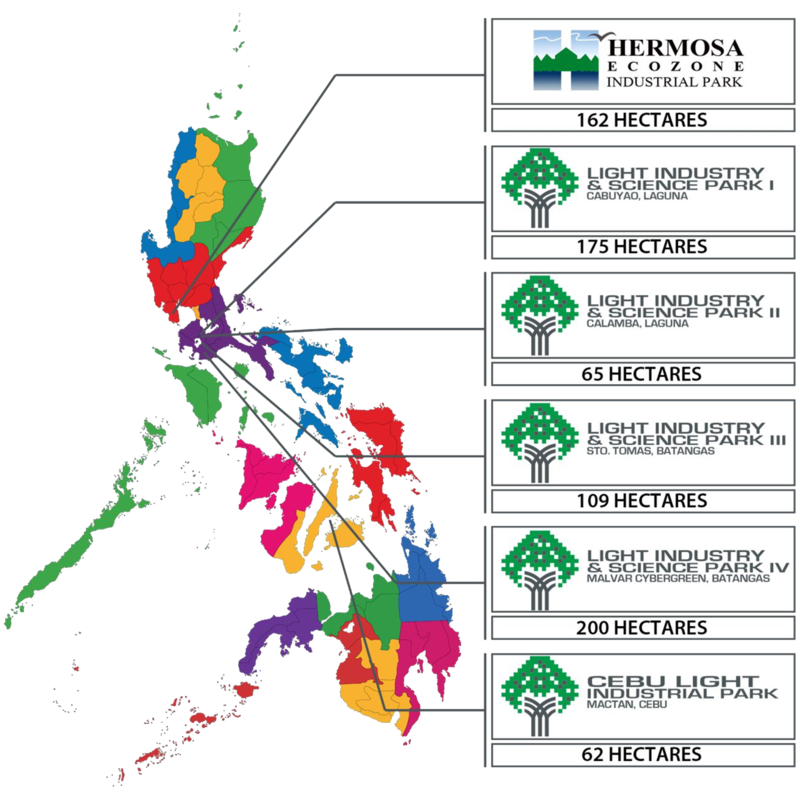 Sold out in 1995, this 175-hectare industrial estate was the first to be registered as a special economic zone by the Philippine Economic Zone Authority. LISP I is situated 35 kilometers south of Makati, the prime business district of the country, and is home to 90 locators including Fortune 500 companies like Procter and Gamble. SSPI’s second industrial park which was sold out in two years, is only 6 kilometers from LISP I. It has an area of 65 hectares and home to 24 multinational locators. SPPI’s sixth and latest industrial estate is being developed as part of an integrated mixed-use property development called Malvar Cybergreen. LISP IV is planned to be a 200-hectare industrial park, complemented by a 10-hectare vibrant commercial and institutional destination and a 40-hectare residential neighborhood right off the STAR Tollway in Malvar. A 62-hectare industrial estate located in Mactan Island, one of the Philippines’ fastest growing regions. It is a mere 10-minute drive or less than 8 kilometers away from either the Mactan Cebu International Airport or the Cebu International Seaport. HEIP is a 162-hectare industrial estate which is only 12 kilometers from the gate of Subic Bay Freeport and 35 kilometers from the Diosdado Macapagal International Airport in Clark.